Tool Cobber has been designed to offer you – the consumer – a chance to do your research before you buy. There are a limited number of online resources available for detailed information on tools, especially in Australia. Most people go down to their local hardware store and find they do not receive the customer service they were hoping to, or get it and find themselves flabbergasted with the array of different models they can choose from. Tool Cobber hopes to solve both of these problems. 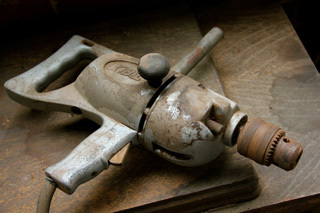 From the comfort of your home or office computer you can learn about the right tool for your job, whether it be for DIY or commercial use, and what to look for when purchasing it. I believe you will find yourself making a fully informed decision based on cold hard facts, not on other people’s say-so or company’s marketing schemes. Consequently, you’ll end up with the right tool for you that will make your life a whole lot easier, and you’ll find yourself achieving the quality and finish you desire. As this website is only very new, I have tried to offer you an initial guide to the tools that I feel are the most popular and mainstream. Given time, I will be frequently updating the site with more and more content, until it becomes one of the most extensive and comprehensive online resources available for tool buyers. In the future I also hope to include tool company news, information on latest products, articles, how-to’s, and a forum, all in an attempt to provide you with the services I feel you deserve. I hope you enjoy all that this website has to offer you, and if you have any questions, recommendations or requests regarding the content please don’t hesitate to contact me.